The award-winning Sleep range includes a range of products designed to improve your quality of sleep. In fact, they are clinically proven with 100% of users agreeing they would recommend Sleep Plus & Deep Sleep Pillow Spray to a friend. 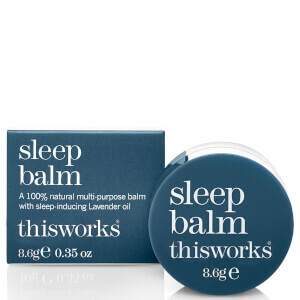 89% of ex-sleep medication users would use This Works Deep Sleep in place of sleep medications. This Works' bestselling natural sleep remedy- Deep Sleep Pillow Spray includes a blend of Lavender, Vetivert and Camomile essential oils. It is fast acting and is a natural way to encourage a decent night’s sleep, allowing you to wake up refreshed the following morning. 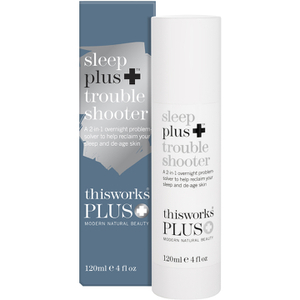 The Sleep Plus Spray offers relief for those of you who have restless sleep. A beautiful Lavender fragrance helps you to gradually go to sleep. Suitable to use during pregnancy.